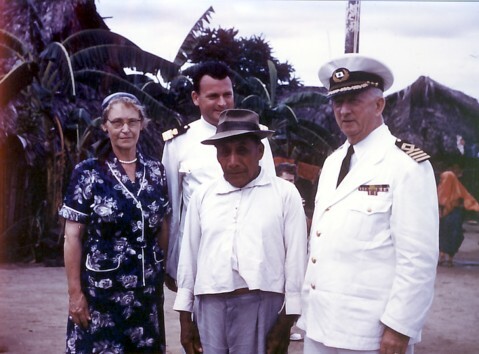 These pictures belong to Chief Purser Curt Dawe's Collection. and moved to the page where they belong. D212. 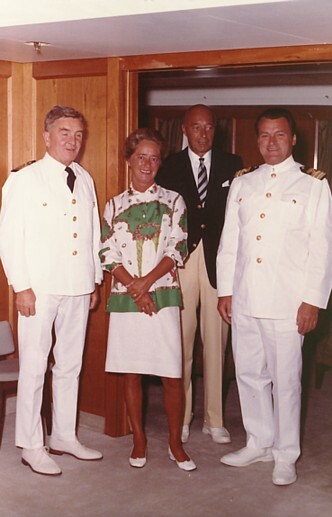 Captain C-O Wijkmark, SAL Director Erik Wijk and Mrs Wijk, Curt Dawe. D226. 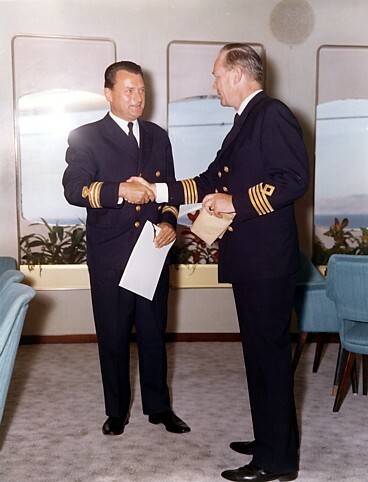 Curt Dawe and Captain Nordenson. D214. Skål! 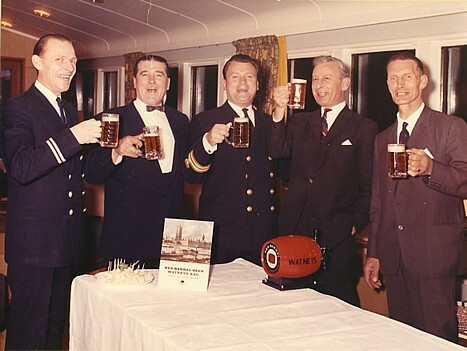 Second Steward Nielsen enjoying a beer with Dawe and passengers.